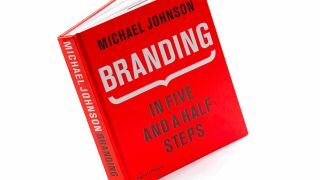 Following the release of his new book demystifying the branding process, Michael Johnson reveals why his so-called 'step 2.5' is crucial to success. When we first started to take on major branding projects at johnson banks, clients would ask to see our 'process'. So we dutifully wrote down what we thought this process should be. And, bar a few tweaks, those initial steps of research, strategy, design and implementation still hold today. But more recently, I've made two additions to those four core stages. After the implementation stage, the manner in which you embed a project (or reboot it) has become increasingly important. Also, the interface between strategy and design, the blur between steps two and three, has come into sharper focus. It's this intersection that often causes the most difficulty, discussion and disagreement in branding projects, and this has caused me to add a half step to the process, outlined in my book. For a while, we tried to follow the rules. If a visual idea came up that improved on the agreed narrative, we left well alone. If we felt the supplied narrative was a bit ho-hum, we concentrated on visual solutions that would bring it to life. But increasingly, as we started to do the verbal work ourselves, some key issues began to unfold. We wanted to allow the ideas from the design stage to loop back and allow a redraft of what had come before. As we tackled some very tricky brand architecture problems, we realised that creative solutions at this point could provide invaluable strategic glue as well. As we embarked on naming projects, it became clear that agreeing just one strategy, one name and one design was pretty risky, especially if global name-checking could rule out an entire route at any time. So to cope with this, we began to amend our way of working. Yes, we would get the verbal work broadly agreed, but we would leave the door ajar, just in case the visual ideas provided another direction. As an example, the idea of 'bringing the cosmos down to earth' as a central idea for a Japanese space observatory came up in the design stage. But we were able to move it backwards into the narrative stage. Several times, we tackled brand architecture within the design stage, which in turn suggested completely new ways to solve structural problems (such as our scheme for the Pew Centre). As we worked more and more on naming, we began to treat each shortlisted name as its own entity. So whilst legal checks were ongoing, a client could see how contrasting types of name could take them in different strategic directions. Most recently, often due to condensed time frames, we've had to collapse design, naming, brand architecture and design into one uber-stage, whilst pursuing multiple routes in parallel. This creates a more nimble and agile process that better suits certain clients. Done well, it means we can all see worked-up narrative and design scenarios in parallel. Rather than one-after-another, as before, which is more stressful, difficult and often more expensive, but a lot of fun and extremely useful. Don't get the impression that this inter-step can only be carried out by a company like johnson banks, which merges strategy and design in-house. Other companies are just as agile at the translation of one side into another. Take the consultancy Circus, which has seamlessly facilitated the merger of Cathedral group and Development Securities, co-creating the U+I (United and Industrious) name and working with North on its new identity. Another example is Jane Wentworth Associates,a company that has mastered agreeing brand strategies, bringing in design companies and then collaborating to create some of the most groundbreaking work in the cultural sector. One day, strategy and design may merge into one big stage and the need for any half steps in between will be negated. But, just for a little longer, and especially while very different personalities are working on either side of the divide, 'step 2.5' can help us all to bridge the gap.